On January 20, 1920, a new organization devoted to the freedoms guaranteed to all Americans by the Constitution of the United States (and its amendments) was formed from the National Civil Liberties Bureau, an organization formed in 1917 to protect the Freedom of Speech, mainly by those Americans opposed to the US joining in World War I. With the motto, “Because Freedom Can’t Protect Itself” the ACLU is a premier civil rights organization active all over the United States, supporting the rights of a wide variety of Americans in a wide variety of causes. Among the founders of the ACLU was Helen Keller, the famous author, speaker and activist famous for her achievements though being blind and deaf. The ACLU quickly expanded its focus on the freedom to speak against war to the freedom for other groups (artists, journalists, labor unions) to exercise free speech. An alliance with the NAACP also logically followed, with an emphasis on the rights of all Americans regardless of race, color creed, or national origin. Obviously, women’s rights also became a part of the focus of the ACLU as well. Ruth Bader Ginsburg co-founded the ACLU’s Women’s Rights Project in 1971. 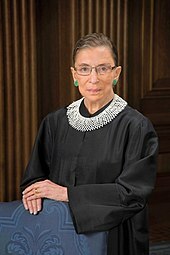 She was later appointed to the Supreme Court of the United States by President Bill Clinton. As early as the 1930’s the ACLU tackled the contentious issue of police brutality, and supported Native Americans in their quest for equal rights. Protection of communists and other political thinkers contrary to the mainstream became an issue before and after World War II. During the hysteria of early World War II when the US interned Japanese-Americans in virtual concentration camps, the ACLU unsuccessfully fought for the rights of those citizens. 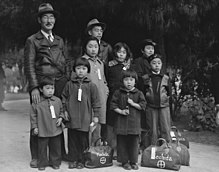 Despite internal controversy over the issue, the ACLU defended the rights of Japanese Americans, such as the Mochida family, when they were forcibly relocated to internment camps. Membership in the ACLU has grown immensely over the years, from 80,000 in 1964 to 1.2 million members today! Around 300 attorneys are kept on staff, and another several thousand lawyers lend their time as volunteers. The 2016 election of Donald Trump as President of the US and the continued migration of the Republican Party to the Right has led to a fresh influx of members and donors in the past year. Grants make up half of the operating budget of the ACLU, while membership dues and donations make up most of the rest. The national headquarters has a budget of over $133 million per year. (Members decide their own personal dues, called donations by the ACLU. The average donation is $50 per member per year.) Local chapters called affiliates are located all over the country. Recent issues being addressed by the ACLU include those limitations on citizens’ rights and liberalization of search and seizure created by anti-terrorist legislation and decrees. The issues of gay and transgender rights has also been a headline inducing topic. The push in recent years by the far right to teach ‘creationism’ in the schools and to teach the theory of evolution is not proven science has been another hot button issue, as are all versions of the separation of church and state. Other battles include protecting the rights of prisoners, immigrants, and voters. One area that creates some division within the ACLU is the interpretation of the Second Amendment, the one that gives Americans the right to keep and bear arms. The ACLU officially deems the Second Amendment to be a collective right, and not an individual right as the US Supreme Court has decreed. On the other hand, the ACLU has teamed with the NRA (National Rifle Association) to combat any government attempt to create a national registry of firearms. (In virtually every country that initiated universal gun registration, some classes of guns or all guns were confiscated.) The ACLU has also championed the right to carry a firearm. In an effort to protect and advocate for the rights of Americans under the Constitution, the ACLU has managed to anger both the liberal left and the religious right. Although generally considered to be a liberal organization, that characterization is not totally true. The ACLU has earned the ire of liberals by supporting the NRA, conservative speakers (Rush Limbaugh, Henry Ford, and Oliver North among others), although one area you really do not see or hear of the ACLU supporting seems to be police officers fired for speaking up and such. 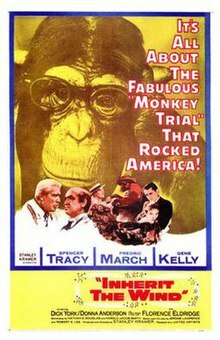 A poster for the movie version of Inherit the Wind. Whether you criticize the ACLU for what causes they choose to take or not take (and both the left and right do! ), or not, the fact is that they are a major player on the American stage of civil rights. What do you think of the ACLU? Feel free to express your opinions. It’s your right! Donohue, William. Twilight of Liberty: The Legacy of the ACLU. Routledge, 2017. Osten, Craig. Sears, Alan. The ACLU vs America : Exposing the Agenda to Redefine Moral Values. B&H Publishing, 2005. Swarthout, Don. The ACLU’s War Against America. NOOK Press, 2015. Previous ArticleJanuary 19, 2018: Should Americans Celebrate Confederate Holidays? Next Article January 21, 1997: Speaker of the House Newt Gingrich Reprimanded by Congress!